After the rebuild, Sappis' PM 6 will be able to improve the existing graphical board products and move into producing high quality SBB and FBB grades. 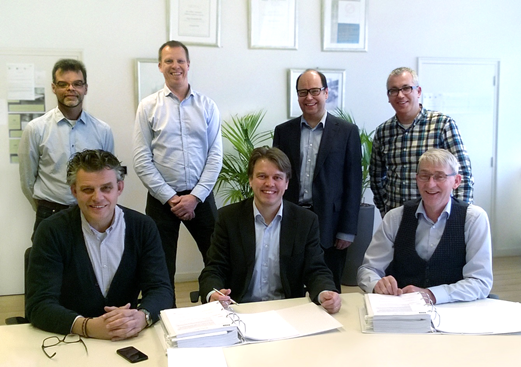 Valmet will supply a paper machine rebuild for Sappi Maastricht in the Netherlands. With the rebuilt paper machine 6 (PM 6), Sappi will be able to improve the existing graphical board products and move into producing high quality solid bleached board (SBB) and folding box board (FBB) grades. Today PM 6 is producing coated woodfree (CWF) paper grades. The start-up of the rebuilt machine is scheduled for early 2018. The order is included in Valmet's first quarter 2017 orders received. The value of the order will not be disclosed. "All the technical ideas were tested in pilot conditions at our Paper Technology Centers. With the results from the pilot trials and in close partnership, Sappi and Valmet were able to develop a new concept for Sappi Maastricht - a concept with some unique solutions", says Sales Manager Kari Sorsa from Valmet. Valmet's delivery for the PM 6 will include a new type of OptiFlo headbox and OptiCalender Metal Belt calender. With the headbox, an optimal sheet structure with improved paper properties can be achieved. The calender ordered by Sappi Maastricht will be the ninth OptiCalender Metal Belt to be supplied by Valmet. With this unique technology, bulk of the produced board can be increased significantly. The surface smoothness, topography and printability of the calendered end products are excellent. PM 6 will be producing graphical board, SBB and FBB in the basis weight range of 220-450 g/m². The mill has a total capacity of 280,000 tonnes/year. Headquartered in Brussels, Belgium, Sappi Europe is the leading European producer and supplier of coated fine paper, packaging and specialty papers. In Europe the company has seven mills, 14 sales offices and 5,100 employees.